The Southern Maryland Innovation and Technology meetup and PaxSpace announce Lowell Cade, founder of RYG Light LLC, as the first-place winner of the Crab Pot Pitch Contest. Cade received a $5,000 cash prize to further his concept, a bushel of crabs and a one-year membership to PaxSpace, a member-operated makerspace where entrepreneurs can work on their projects. and a constant-motion knee brace that aids in physical therapy exercises invented by a team of high school students from St. Mary’s County, the release states. Crab Pot is a uniquely Southern Maryland pitch contest for inventors and entrepreneurs. Made popular by television shows like ABC’s “Shark Tank,” pitch contests provide an opportunity for entrepreneurs topresent their ideas to a panel of judges or investors in front of an audience, according to the release. Cade was driving home from work in a snowstorm late one evening and noticed a police officer attempting to control traffic in zero visibility conditions. 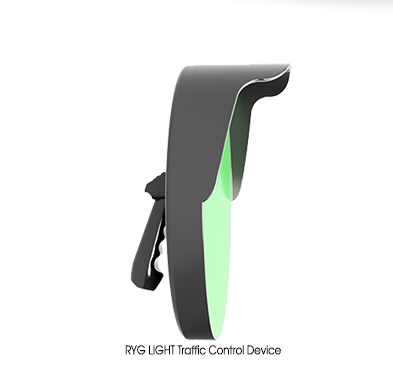 He wondered if there could be a safer way to conduct traffic, and the RYG Light was conceived. Final improvements are currently being made to the product prior to commencement of full-scale manufacturing. Cade envisions applications for the device in emergency management, public safety, construction, school crosswalk activities and general pedestrian management. He intends to finalize design elements and begin production in Maryland within a year. For more information on RYG Light, visit www.ryglight. com.